Bite-sized donut holes are the ultimate in breakfast-to-go items and Prairie City Bakery brings you the best in breakfast and to-go items! 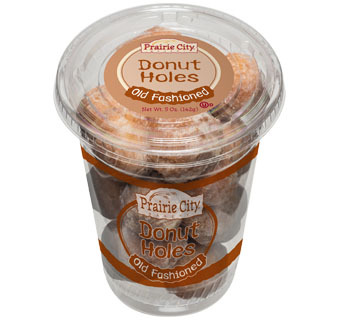 Our Donut Cups give the grab-n-go customer a fun, easy way to enjoy them. Old Fashioned Donut Holes offer a rich cake donut with a soft texture and enrobed in a sweet white glaze…Scrumptious!